3. 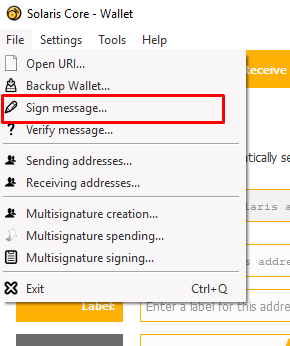 In the sign message window, paste the address into the first field, then enter the message you want to sign and hit the Sign Message button. 4. A Signature will be generated. 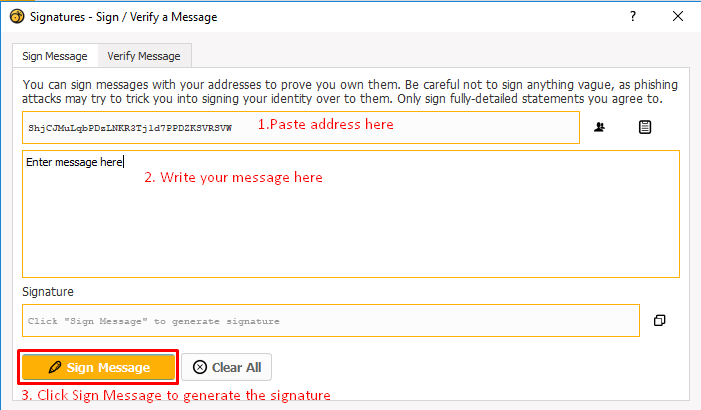 Hit the Copy button to the right of the field to copy the signature.